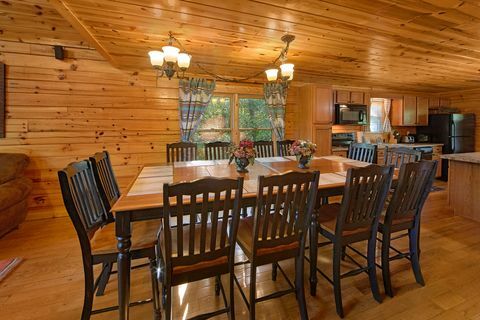 If you’ve been searching for Smoky Mountains cabin rentals in Pigeon Forge, Tennessee for your family vacation or group gathering, this cabin rental is the perfect answer! 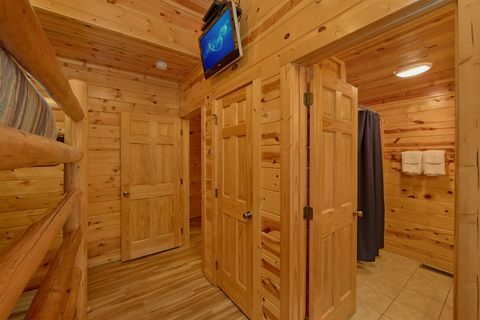 "A Perfect Stay" offers guest swimming pool access, free WiFi Internet, a large hot tub with LED mood lighting, and much more! 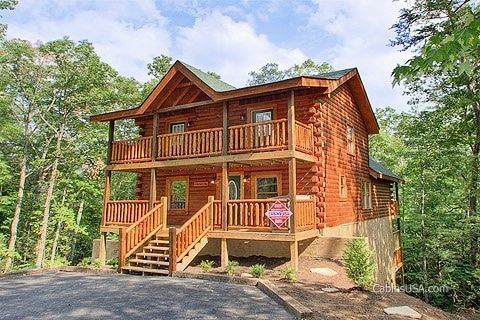 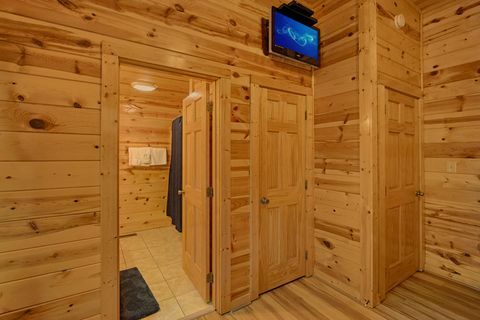 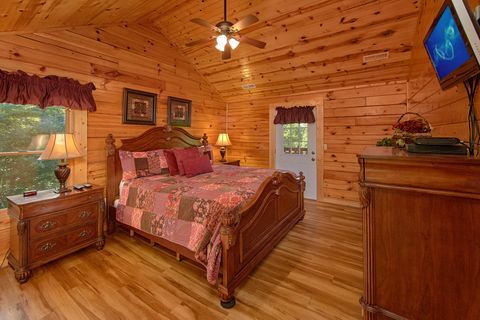 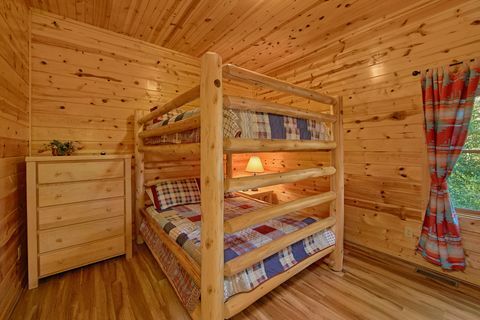 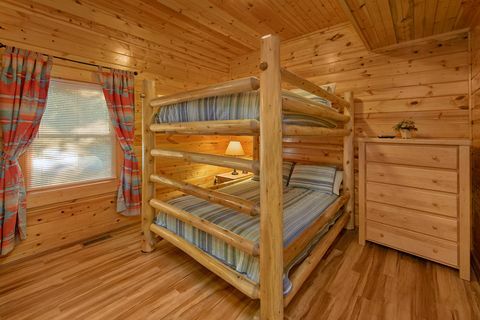 This 5-bedroom cabin in Pigeon Forge comes with 3 king beds, 2 unique queen bunk beds and several sleeper sofas for sleeping accommodations for up to 20 guests, making this perfect for a vacation with the extended family or a church retreat. 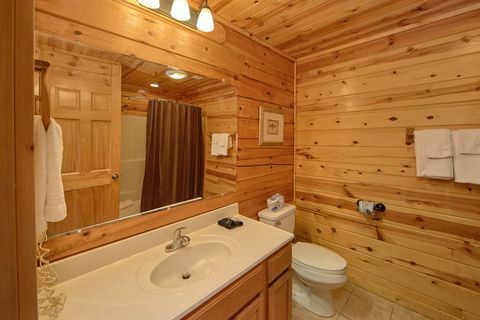 Additionally, each bedroom has its own private bathroom. 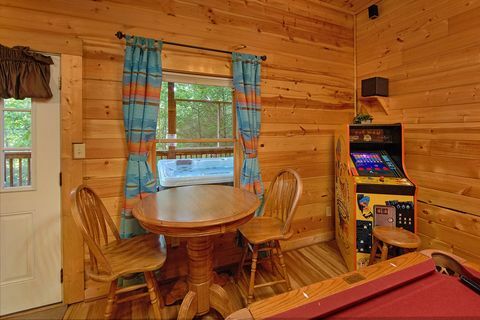 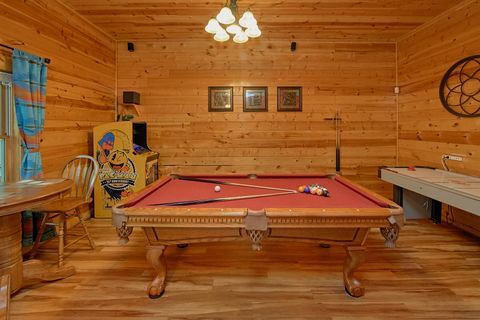 You'll have a blast in your cabin's game room complete with pool table, air hockey, and Ms. Pac-man arcade game! 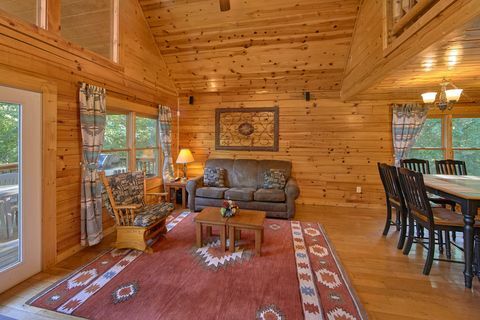 There is plenty of room for the whole family to gather in this cabin's 2 living rooms, each with their own television and gas log fireplace. 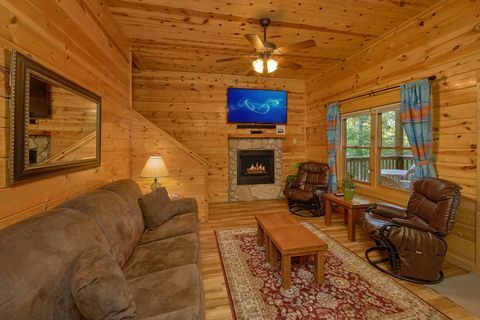 In addition to several private televisions in bedrooms, this cabin offers two theater systems with 70-inch televisions, surround-sound, and Blu-Ray players. 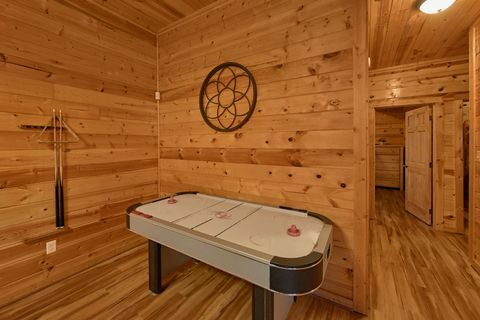 These are located in the game room and main-level living room. 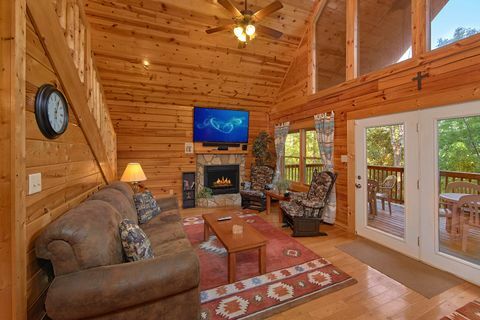 Enjoy the fresh air and peaceful sounds Smoky Mountains cabin rentals offer from one of "A Perfect Stay's" 4 covered decks or head to the resort swimming pool for some summer fun with the family. 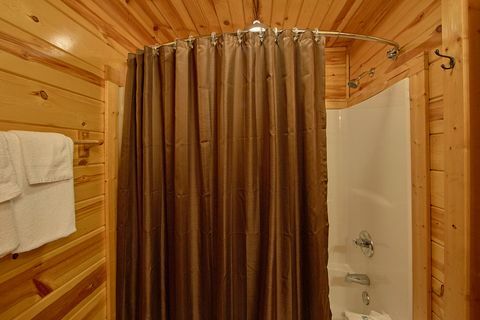 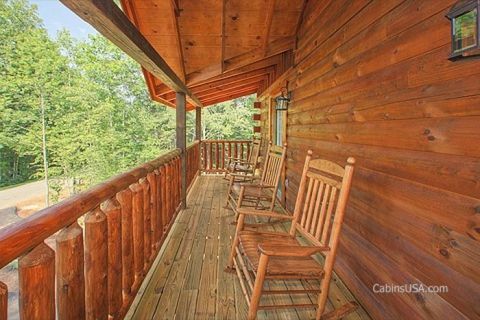 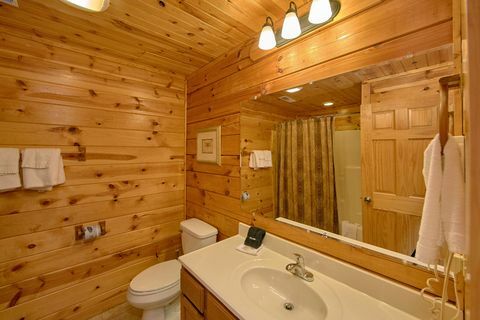 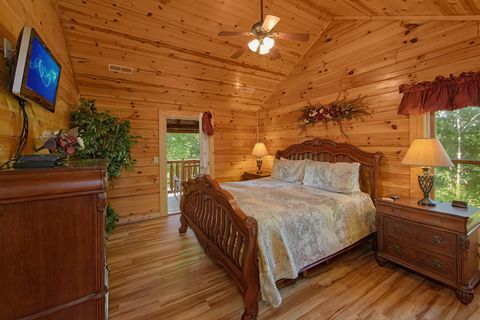 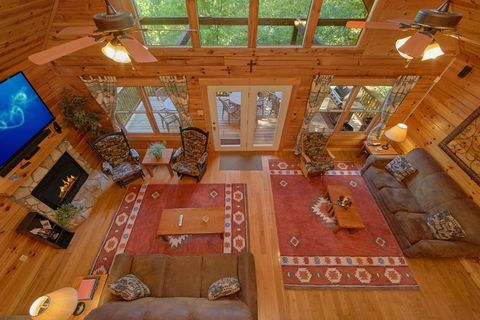 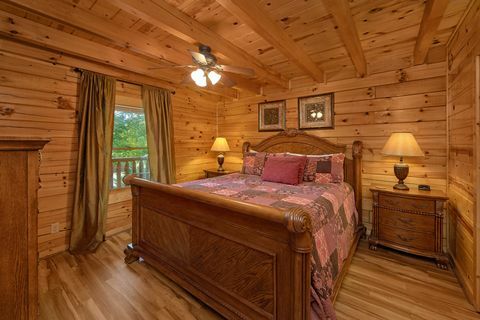 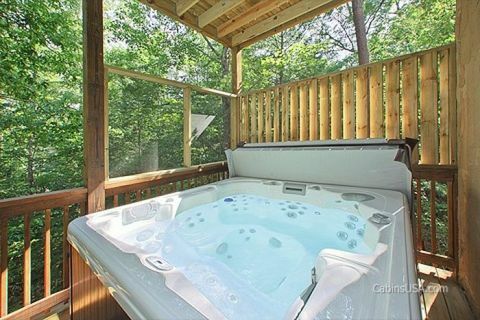 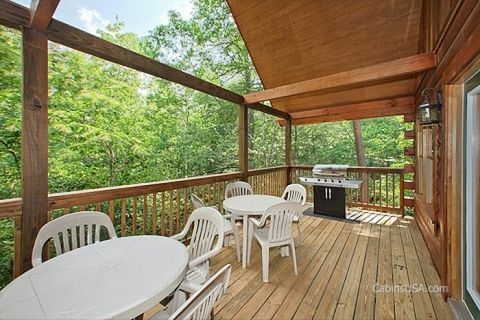 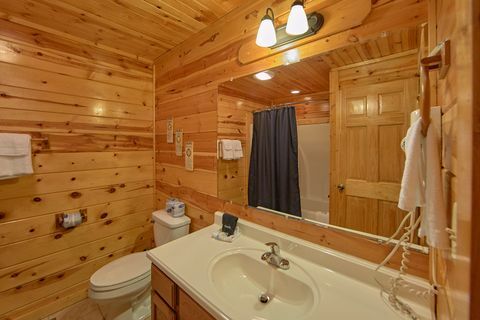 This 5-bedroom cabin in Pigeon Forge is less than a mile off the Parkway, minutes from Pigeon Forge attractions, shopping, restaurants and nearby Gatlinburg, TN. 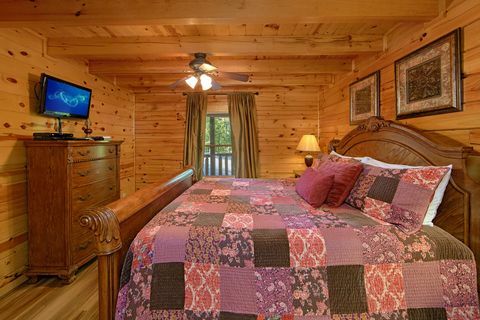 BOOK "A Perfect Stay" or one of our many other Smoky Mountains cabin rentals in Pigeon Forge, Tennessee ONLINE with Cabins USA Gatlinburg and get immediate SAVINGS!